After having a three-way tie in our last update midway through the 2015 NFL offseason, the oddsmakers have finally come away with a clear-cut favorite to take home the Lombardi Trophy in Super 50. The Seattle Seahawks, who are looking to make their third-straight trip to the big dance, stand tall above the rest of the competition. But that’s not if the other top contenders aiming to win it all as well have a say in it. The third time should be a charm indeed for the Seattle Seahawks as they vie for a shot at a second Super Bowl victory in just three seasons. Seattle, who is currently the +500 favorite to win Super Bowl 50, had seen little offseason movement apart from a blockbuster trade for tight end Jimmy Graham from the New Orleans Saints. With Graham now part of the offense, the team now has an even more formidable aerial assault to complement Marshawn Lynch and Seattle’s outstanding running game. 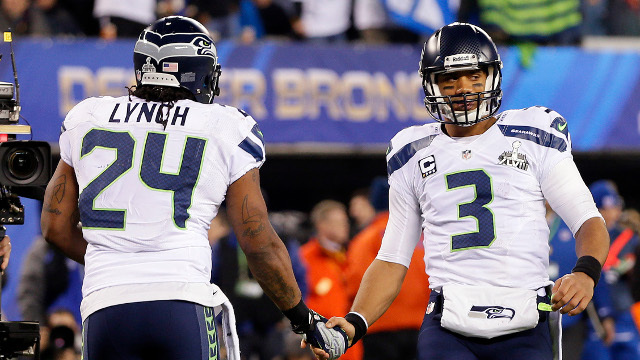 Combined with an already stout defensive roster, the Seahawks certainly have the right recipe for Super Bowl success. Not far from Seattle’s odds are the Green Bay Packers, who are just a shade behind at +550. Green Bay, who is gunning for the franchise’s fifth Super Bowl title, still has quarterback Aaron Rodgers in excellent form to support its cause. Together with the emergence of Eddie Lacy as an every-down back, the Packers have the perfect foil to Seattle’s impenetrable defense with their own highly-potent dose of offense. As for the representatives from the AFC, a coin toss can currently be made between the New England Patriots and the Indianapolis Colts, who are both priced at +800 to win in the Super Bowl’s golden anniversary. In spite of New England quarterback Tom Brady’s absence for the first four games of the regular season due to the fallout of the deflategate scandal, the defending champions are still the team to beat, and with good reason. The Bill Belichick-helmed Patriots have won 12 of the last 14 AFC East division titles and four of the last 15 Super Bowls since the dawn of the new millennium. Meanwhile, Andrew Luck and his Colts are looking to take that next step towards becoming a truly elite team to be reckoned with for years to come. Indianapolis provided its quarterback with a wealth of new offensive weapons this offseason, and the team is now primed to stampede over the rest of the NFL in its path towards winning the Super Bowl for the first time since 2006.